I came across Wreck This Journal on tumblr when someone posted a picture of this horribly disfigured book. I was horrified. Since I am one of those people who takes good care of their book you can imagine how I felt seeing this muddy and torn poor little thing. I couldn't believe my eyes. Is this for real or is someone messing with me that this is actually a book?,I thought so I went and Googled Wreck This Journal. (I dare you to do the same) I stayed up late and watched picture after picture of this mess. The next logical step I could think of is-I need to order it! 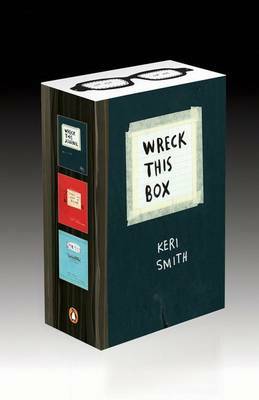 So I will be ordering this boxed set that contains Wreck This Journal, This Is Not a Book and Mess. Wish me luck and strength on actually destroying it when it arrives because I have no idea how will I do it. There will probably be a lot of crying involved. You haven't read Mockingjay yet?! You have to read it! At least to see how the series ends. Read it! I agree with Sally! 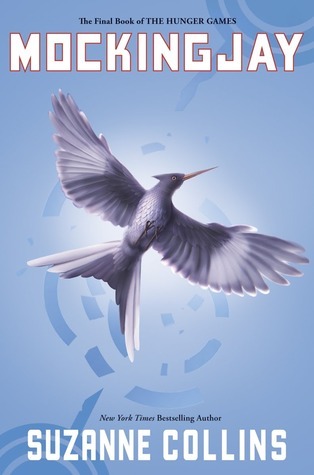 You haven't read Mockingjay 0.O I really hope you get to read it soon! Trayche, Mockingjay is not disappointing at all! For some aspects it's a little predictable but on the other hand Suzanne Collins will surprise you so much, I'm sure of it! I love it, loved it, loved it! Let me know when you've read it. I haven't read any of the The Hunger Games! lol I really don't plan on it either but I might eventually. My husband read them and liked them. He said the same thing about Mocking Jay though. I am hyperventilating right now. I cannot believe you and some of these people have not read this! It's more boring than the others, but when you read this (which I really hope you do soon), stick it out! I loved Mockingjay. At first i was a bit "WTF" after finishing it but after a day I realized it's a great ending. Definitely read Mockingjay! You really need to see how it all works out! I really enjoyed the entire series -- yes, the 1st one is best, but I think that's true of a lot of series. Enjoy! I loved this series!! I think you will too! Thanks for stopping by my Wishlist Wednesday. Happy reading! Oh my gooooosh. Read MOCKINGJAY! !